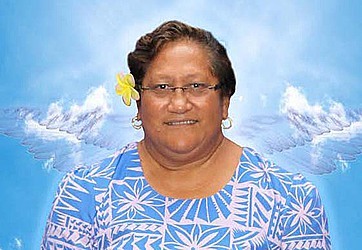 Tropical Cyclone Amos charging through Samoa during the weekend did not impede the Memorial Service for the late founding Chief Executive Officer (C.E.O) of the Samoa Qualifications Authority (S.Q.A) Fepuleai Sinapi Moli. 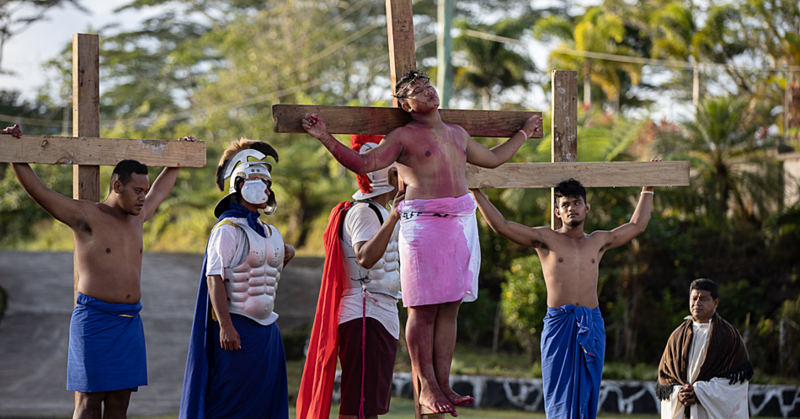 Held at the Samoa Convention Center in Sogi on Sunday evening, the memorial service brought together Fepuleai’s family members, diplomatic members, C.E.Os from various government ministries and government corporations, private organisations, friends and colleagues. 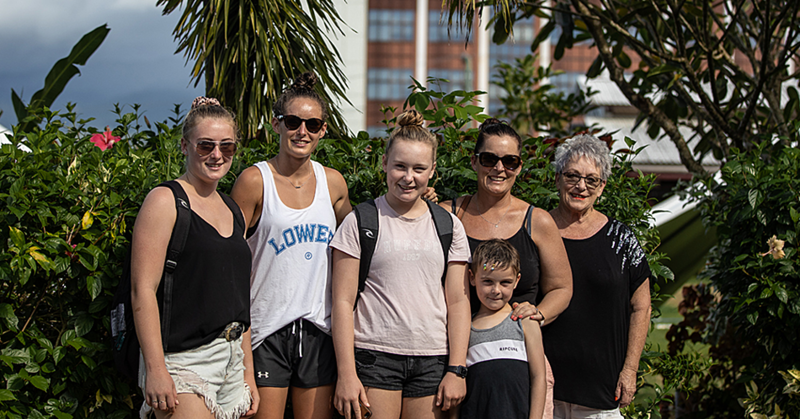 They shared stories, memories and reminisced about Fepuleai’s personal traits, academic and leadership achievements particularly her passion about the Education system. Among old friends gathered were the Head of State, His Highness Tui Atua Tupua Tamasese Ta’isi Tupuola Tufuga Efi and the Masiofo, Her Highness Filifilia Tamasese. Also present was the Minister of Education, Sports and Culture (M.E.SC), Loau Keneti Sio, Member of Parliament Gatoloaifaana Tofilau Gidlow, Diplomatic Corps; New Zealand High Commissioner, Jacqueline Frizelle, Deputy Australian High Commissioner, Rosemary McKay and respective colleagues from High Commission offices. The service was led by Rev. Fuao Fetalaiga Fuimaono, of the To’omatagi Congregational Christian Church of Samoa, and hymns sung by the S.Q.A staff. Heartfelt tributes were heard about the veteran Educator who is remembered as the gentle warrior. 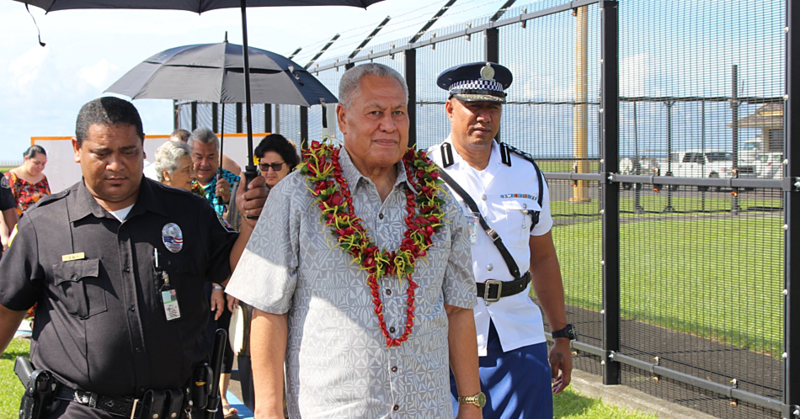 Her Highness Filifilia shared an article written by the late Fepulea’i titled “A Walk Down Memory Lane” for the 50th Anniversary of Samoa College, which she attended as a student then later served as a teacher and deputy principal in the 1980s. Development partners of the S.Q.A; New Zealand High Commission and Australia High Commission offered their condolences to the Samoan government, the Education sector, family and friends of Fepulea’i. Ms. Frizelle acknowledged Fepuleai’s contribution to the Education Sector particularly her commitment to develop the S.Q.A and tireless pursuit of quality education standards for all levels of the education system in Samoa. She described Fepuleai as warm, down to earth and funny. Deputy Australian High Commissioner Ms. McKay paid tribute to a very close friend of Australia. “Sinapi, as she was known to us was a close friend to Australia and I feel very privileged to have known and worked with her,” she said. Colleagues from partners and stakeholders S.Q.A shared similar sentiments. Staff representatives remembered with appreciation their C.E.O as maternal, a strong mentor and teacher. At the conclusion of the memorial service, S.Q.A Board Chairperson Palanitina Tupuimatagi Toelupe acknowledged with thanks all those present and spoke of the late C.E.O’s humble yet determined approach. Fepuleai’s funeral service will be held in Lower Hutt, New Zealand tomorrow. An official delegation that includes the Minister of M.E.S.C and the Chairperson of the S.Q.A Board is attending her final services.